Chicken Corn Chowder is one of our favorite soups. One that I make several times a year, but usually a different recipe each time. This is at the top of my list at the moment. 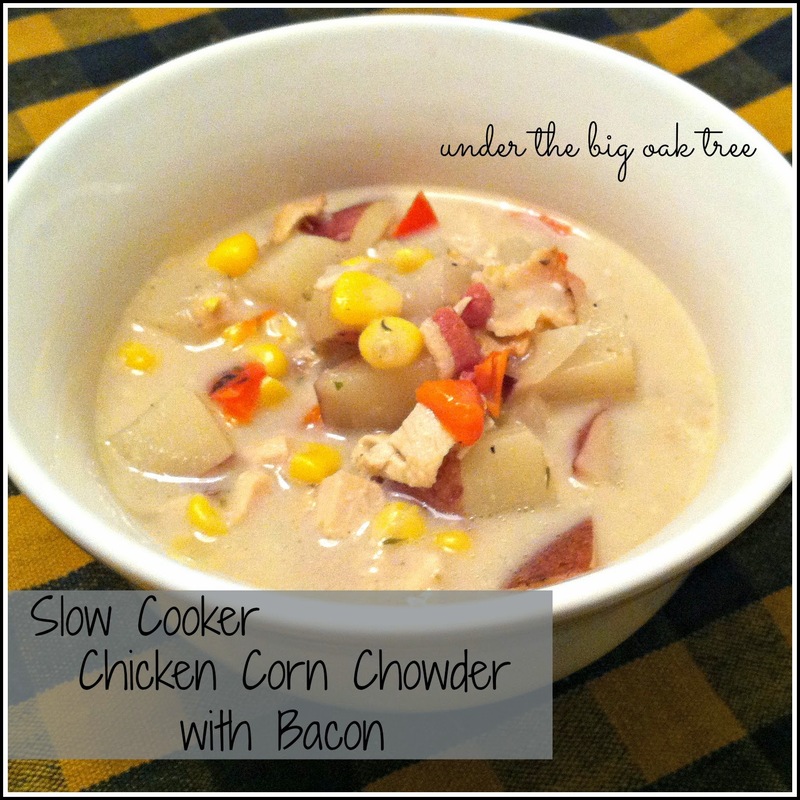 The flavors are wonderful and the recipe is so easy to prepare using the slow cooker. I threw this together in the morning and let it cook while I did the rest of my chores around the house that day. It was great not having to figure out dinner by the time I was finished my other tasks! Place the potatoes,onion and bell pepper in the crock pot. Pour in the frozen corn and combine well. Add seasonings and chicken broth. Stir in the heavy cream, chicken and bacon. Allow to cook for another 15-20 minutes or until heated through. Yum! So, so good! This soup really hit the spot after a busy day! We'll definitely be having this a few more times this winter! Can't beat easy and delicious! I love using a slow cooker; good idea for the bacon, adds so much flavor.